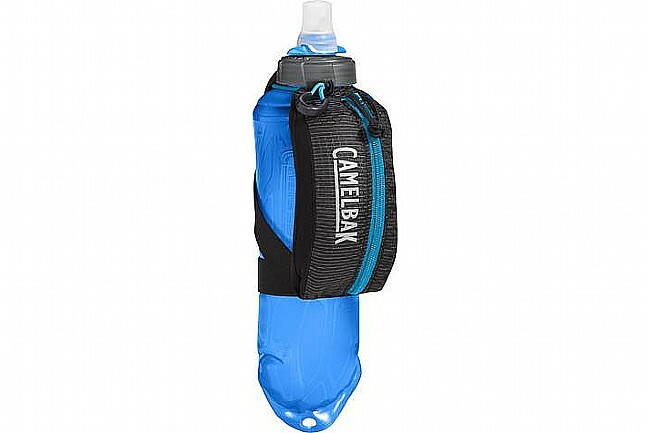 The Camelbak Nano handheld is the ideal solution for trail runners who prefer the simplicity of handheld hydration. 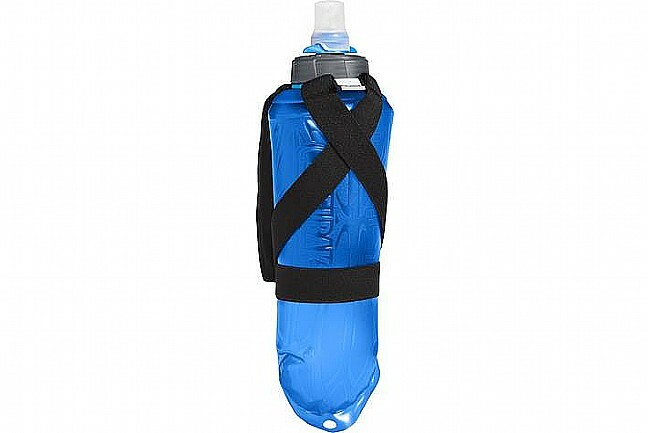 Enthusiasts and competitive ultra runners alike swear by the X-Grip hand strap system for a custom carry and the 500 ml soft flask for easy hydration. The secure essentials pocket is just enough room for keys and nutrition without affecting the low, 25-gram pack-only weight. 500ml/17 oz Quick Stow Flask. Integrated essentials organization allows for stashing of keys, gels, credit cards, and more. 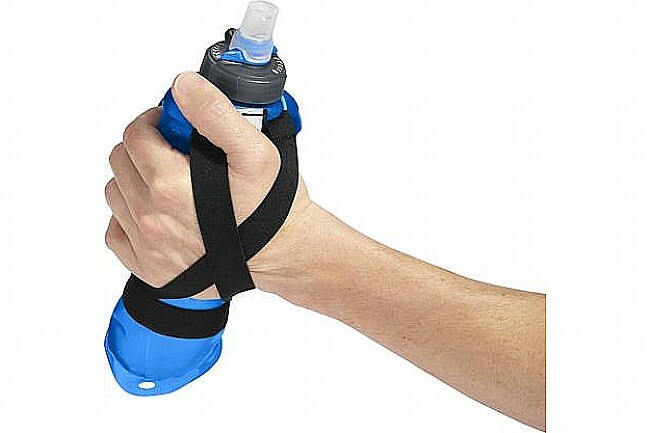 X-Grip Hand Strap system for multiple comfortable carrying options. 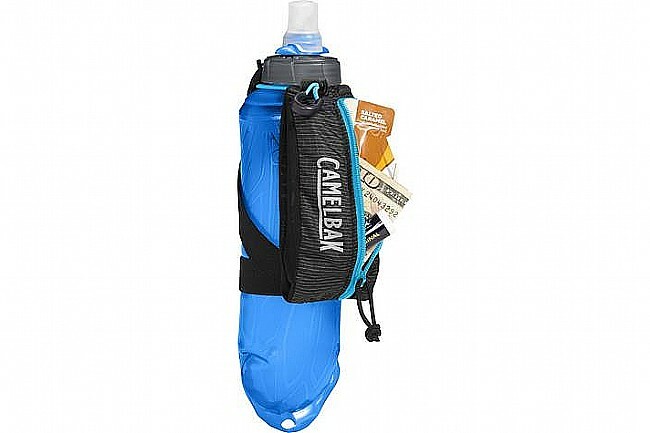 Collapsible and packable for easy storage. Reflective accents for improved visibility. I used this product for the first time in Ironman Arizona marathon. Initially I had a hard time getting liquid to squirt out but figured out that I had to hold it at a specific angle to get a drink. Also seemed a bit heavy initially but got used to it very quickly. I really liked the fact that I could carry my own mixture versus what was handed out in the race. I was able to bypass a lot of the aide stations. Very happy with the product.